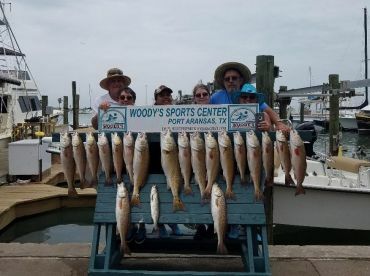 If you had to make a list of top five locations for fly fishing around the Gulf, we’d bet Rockport would make it to the final round. This might come off as a bold statement, but the terrain, the local fish, and the thrill of the chase might prove doubters wrong. 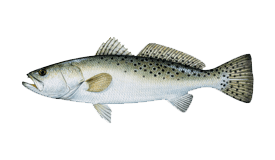 Rockport fly fishing is made iconic by the sheer vastness of fisheries, diversity of water bodies and schools of hungry fish. 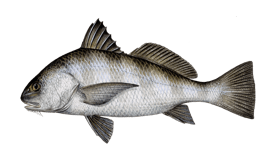 Year round, these inshore specimens are ready to fight back. It’s fun for novice anglers and it’s a challenge for pro fishermen. The fishing grounds are diverse to say the least. Here lies a net of flats, intertwined with channels, islands, muddy waters, and pot holes, all teeming with Redfish, Speckled Trout, Black Drum, with an occasional Tapon. The waters are crystal clear, so it’s a real thrill to sight fish for the catch. You don’t want to scare them off, and you want to present the lure right. Fly fishing is a bit like the imitation game—the better you can mimick the fish’s prey, the higher the chances of tricking them to strike. Another great thing about fly fishing here is that you will often find fish around grass banks. Luckily, Rockport has plenty. 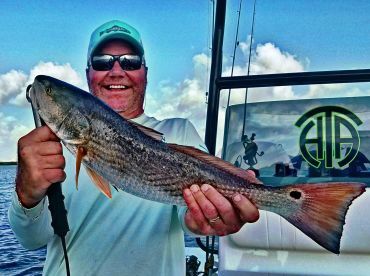 If you have a trained eye, you will enjoy looking for Redfish and Specks ambush their prey. Head to the shallows with grass beds, and you’ll likely be hooked on in no time. You should also go around oyster beds. That’s where the baitfish gather and your target will follow close behind. Scout the edges of the oyster beds for a fine catch. Before you join your guide, you will need to tick off several items of your preparation list. 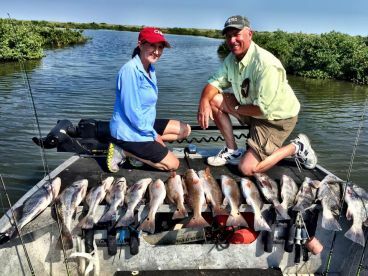 Make sure to bring along a valid Texas saltwater fishing license, and reliable footwear. You might need to get into the water at times, so you will want to stay dry for the rest of the day. Now, fly rods are something that not all guides and charters provide. It’s always good to check that with the captain as some might be more than willing to include it. 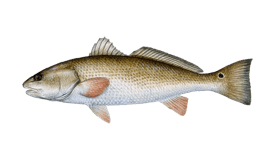 Rockport fly fishing is all about Redfish and Speckled Trout. Showers and wind can mud the water at times, but it normally doesn’t take long before it’s all pristine again. As the water cools down and the days get shorter, fly fishing gets hotter. Why? 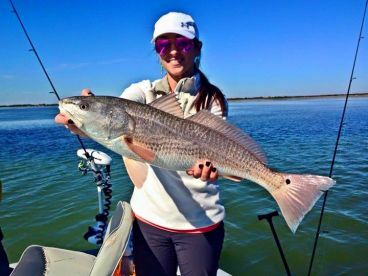 That’s when Bull Redfish make their fall run for the Gulf waters. The fish here are mostly cooperative and will gladly eat the fly, regardless of the pattern. But, they can get moody and sometimes an ill-placed pattern can ruin the day. Given its delicacy, fly fishing is best done with a pro. 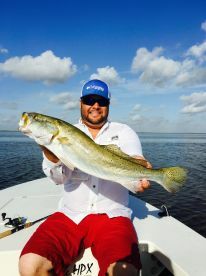 Any local fly fishing guide will gladly show you the dos and don’ts and that is the most efficient way to see what Rockport on the fly is all about.